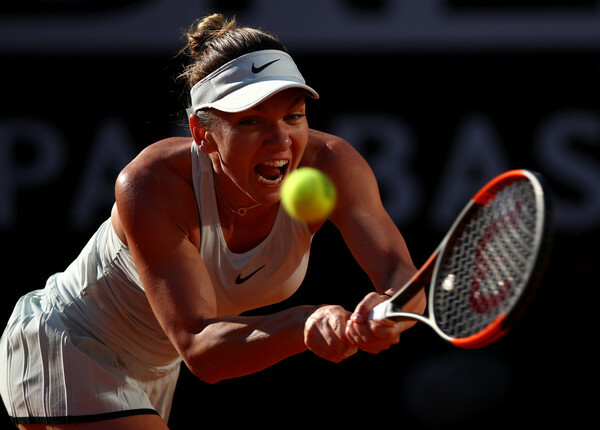 Simona Halep put in a world-class performance after ousting former world number one and resurgent Maria Sharapova in the semifinals of the Internazionali BNL D'Italia, moving onto her second consecutive appearance in the final of Rome. In a battle between a former world number one and the current world number one, Simona Halep prevailed in the highly-anticipated blockbuster clash against five-time Grand Slam champion Maria Sharapova as the Romanian recovered from a slow start to stun the Russian in three thrilling sets. The encounter did not have the best quality it could possibly display, but it was a tough fight from both players as they left their hearts on the court, with Halep triumphing in the break-fest lasting for two-hours and 24-minutes of play. Stunningly, 19 of the 27 games played were breaks of serve, and both players stunningly won less than half of their service points. It was a risky decision for Sharapova to begin the match with, having made the choice to serve in the opening game. A slew of unforced errors from the Russian gifted Halep with the break within a blink of an eye, allowing the world number one to power to the perfect start. This startling start from Halep made it look like a replica of their Beijing encounter, but Sharapova was able to break straight back as she produced a series of powerful returns. Sharapova mixed in several drop shots during the match, and the tactic was highly successful as the Russian kept Halep way behind the baseline before capitalizing on her opportunity. Halep was also efficient in her defense, and her solid groundstrokes saw the Russian losing her serve once more. Halep had the golden opportunity to hold serve but failed to convert three game points as her attempts to be aggressive backfired ultimately. After what seemed like an eternity, Sharapova finally had her first service hold of the day as she consolidated the break for a 4-3 lead. It was a perfect service game considering the Russian had only claimed 2/13 service points previously, and the former world number one closed out the game with a roaring backhand down-the-line winner. 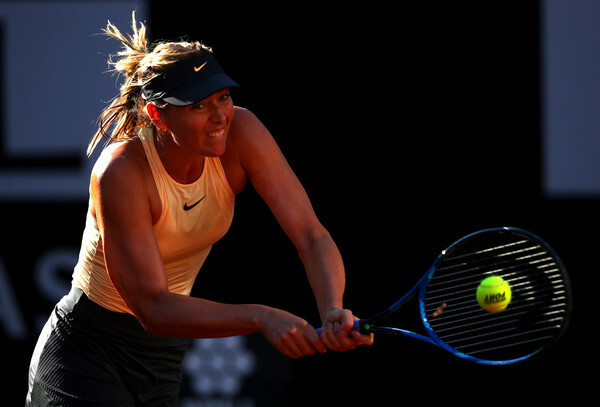 Sharapova continued to ride on her momentum and seemed on course to take the opening set after firing several more backhand winners, putting herself just one game away from completing the task. Aggressive returns and perfect shot placement saw the Russian overpowering the world number one, who struggled with the pace of the shots throughout the set, and eventually, the first set concluded with a 6-4 scoreline in Sharapova’s favour after the lone service hold went to her. Sharapova was still unable to find the rhythm on her shots, and she completely lost the plot as Halep stepped up her game and grabbed the confidence-boosting break in the first game of the second set. For the first time in the match, the Romanian came from 15-30 down and earned her first hold of the evening, consolidating the break for a comfortable 2-0 lead. Sharapova soon followed suit, firing two aces and multiple winners to lessen the deficit. Unbelievable winners started to come from Halep’s side as the defending finalist looked highly impressive, firing on all cylinders as she fended off an incoming surge from Sharapova’s powerful and vicious returns, saving a break point for the 3-1 lead. That crucial fourth game proved to be pivotal in deciding the match outcome — as Sharapova was broken yet again. Looking inconsistent on her serve, Sharapova struggled in every aspect of her game, and a slight hint of fatigue started to show when the Russian was reluctant to participate in longer rallies. Halep continued to triumph on the more important points, as Sharapova’s errors proved costly and it allowed the world number one to open a commanding 5-1 lead within a blink of an eye. Serving to stay in the set at 1-5 down, Sharapova came up with an incredible drop shot-lob combination but lost her way from 30-0 up, with Halep benefitting from a double-fault on set point as she managed to send the match into a third and deciding set after just a mere 88 minutes of play. After a lengthy bathroom break for both players, it was surprisingly Sharapova who drew first blood in the final set. An incredible forehand winner helped the Russian seal the break in the opening game, as she looked confident once more. However, her struggles on serve continued to bother and burden her as Halep capitalized on her chances, leveling the scores at her first attempt. Halep was just in action for 133 minutes on the court throughout the week — while Sharapova had 588 minutes of action. The huge amount of playing time certainly caused the Russian to look powerless in the final set, getting outplayed on multiple occasions. 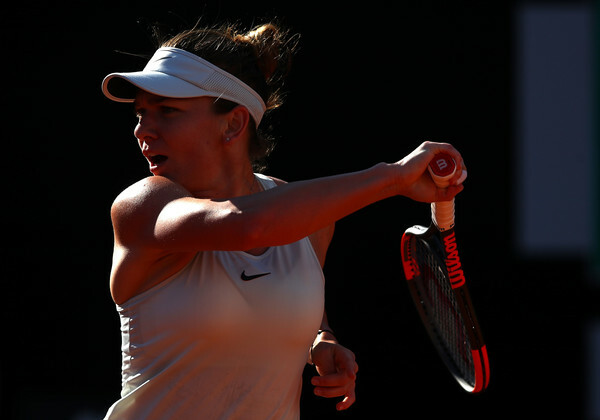 Halep had the golden opportunity to extend her lead but failed to take her chances, and some inspired play from Sharapova saw her breaking straight back to return on serve. An exchange of breaks soon followed, and after getting broken for five consecutive times, Sharapova was able to hold serve having returned from a 0-30 deficit. However, it was not enough as Halep impressively took eight of the last 10 points in the match, letting out a huge roar after the tight contest which featured the tough fighting spirit of both players.